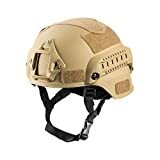 Best Tactical Helmets Review in 2019 – Reviews of the Top 6! You probably have been told this your entire life by your relatives or sports coach, but seriously, get a helmet. When it comes to outdoor activities, not only will it protect you from the sun and absorb the sweat, but it can be the defining line between life and death. No kidding! The head is one of the most exposed body parts in activities like airsoft, and even the smallest airsoft pellet can hurt like hell from up close. Herein, the best tactical helmets are capable of protecting you for a better chance of success. So, before we get into the reviews of the top six followed by a buying guide, let’s take a closer look at its benefits. 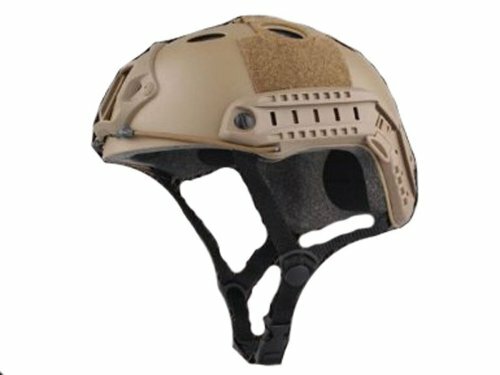 In the following text will be listed the top 6 tactical helmets. We’ll go through its features and the best characteristics the helmets have to offer. A helmet designed not only for tactical activities but also daily doings such as cycling, the ATAIRSOFT PJ Type Helmet was acclaimed by users in 2018. Its performance and features compensates a weight of 600g. ATAIRSOFT PJ includes slidable plastic visor goggles to protect your sight from undesirable objects and possible debris flying through the air in the field. It also offers the possibility to maintain clear sight of your target and not be distracted by anything else in the surroundings. The helmet includes side rails to keep your accessories at palm’s reach, be it flashlights, cameras, or other things you may need. It has an Integrated NVG mount compatible with most GoPro NVG style mounts. You will find it perfect to carry your camera devices and record the action if necessary. ATAIRSOFT PJ’s hat size is 59 and it’s perfect for more rounded heads, the straps adjust to every face shape. In fact, it can be adjusted to fit just fine on most heads all due to its removable paddings. It works for either adults and kids equally. Every user knows that the helmet could become a heavy burden while moving, and this is one of the main reasons people often disregard the use of helmets and heavy gear. The PJ helmet has specifications of 600g weight, 6.69″ (17cm) internal width, and an internal length of 8.66″ (22cm). The Raptors Tactical RTV Helmet is a lightweight and adjustable helmet ideal for any sort of task, even activities such as airsoft. This model excels because of its weight, making the user less fatigued during the workout and improving the experience. This Tactical RTV Helmet was designed not to become a bigger burden to the user, and it success. With the Raptors Tactical RTV Helmet, you will not have to worry about neither the protection nor the heavy weight over the top of your head. For a more comfortable experience, the Raptors Tactical RTV Helmet allows the user to remove and adjust its internal padding, turning the helmet suitable for many types of heads. This allows the helmet to be used by adults and kids as well without complications. The helmet’s front mount allows the user to carry a variety of devices, from night vision gadgets to full 3rd gen optics. The user can also implement communication devices and cameras like GoPros to record the activity. The Raptors Tactical RTV Helmet secures your head for most considerable trauma you might suffer. Its straps offer a strong consistency with the polymer for very comfortable use. 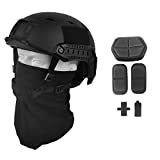 Airsoft enthusiasts out here will find a reliable source in this helmet at a rather accessible price. Weighing roughly 2lbs, this tactical helmet is not meant to provide highly measures of security, but it definitely is a worthy equipment gear to have under tactical environments like airsoft and paintball. The most important highlight of this tactical helmet is the weight. Being only 2lbs, it doesn’t become a heavy burden to carry around and it allows you to move freely in your surroundings. Like the other tactical helmets, the Modern Warrior has adjustable features that make it usable for many sizes and ages in a variety of sports activities. The straps along with the helmet’s weight make up for a comfortable item to have in your repertory. As mentioned before, the Modern Warrior tactical helmet doesn’t provide the same quality of security measures the other helmets do, but it makes up for it in its variety of use. From sessions of airsoft or paintball to Halloween costumes or cosplay, you will always find a use for it. I’ve seen many people criticizing the Modern Warrior helmet because they don’t consider it is as good as the competition. While that may be true, and the helmet isn’t designed to resist heavy bumps taken at high speed, it doesn’t mean that it’s not functional. There are plenty of uses for it and it’s capable of being a worthy purchase. This tactical helmet, very much like its predecessors, is a helmet designed for airsoft enthusiasts out there. It includes many velcro panels for the user to customize and create an identity and personalized helmet. 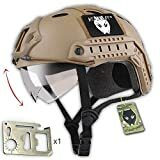 This tactical helmet includes two side rails for lights, lasers, and other accessories. Its NVG front mount is perfect for GoPros and night vision goggles. Unlike most other tactical helmets, the Lancer Helmer comes with a welcomed addition of a built-in night vision shroud, giving the capacity to work at the darkest of hours. This tactical helmet gives its users the option to decide if they want the velcros implemented or not. 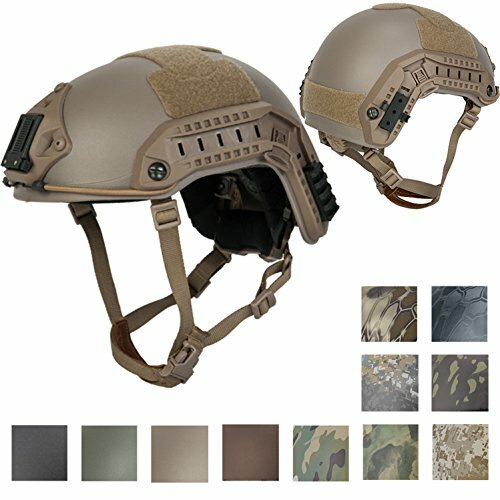 Having tried many tactical helmets before, I can testify how frustrating it is not being able to customize your helmet just the way you want to. Another great addition in this tactical helmet is the fact that it has a dial on the back side to adjust the helmet and be perfectly fit around your head. The user no longer has to worry about removing the padding and its insides for the head to fit in. The Lancer Tactical Constructed Maritime Helmet is a very satisfying helmet in general. It successfully meets every detail you might be looking to get out of it. From the side rails to the size, this is a highly recommended product for both experts and newcomers on the field. The OneTigris MICH 2000 is a tactical helmet weighing 665g, it has a head circumference of 22″-24″ and the main material used in its making is ABS engineering plastics. Patches on tactical helmets have become an efficient way to hype the user up. It establishes your own identity separating you from the rest. On the OneTrigris MICH, you can set your own patches and customize the helmet to make it look just like you want it. The front mount of the OneTigris MICH specializes in NVGs, cameras and other accessories. The helmet offers a perfect balance to keep its accessories heavily attached to the helmet, freeing the user from having to worry about losing any of them. Adding a headset for a better communication, it looks even awesome! Suitable for all sorts of users, the adjustable chin strap is easy to handle and adapting it to several head sizes. Once it’s well-adjusted, it is a pretty comfortable product complemented by the paddings in the inside. Once you get a closer look at the OneTigris MICH 2000, you will understand why it is a well-designed product preferred by many customers. It has an accessible price and offers a lot of comfort and commodity to every single kind of user that might get their hands on it. The BJ is a fast type series of a tactical helmet. It consists of a polymer construction with a head circumference of 22.4-23.5 inches. This helmet weighs a 1.23lb, making it a lightweight tactical helmet easy enough to carry without fatigue issues. Weighing about 1.23lb, the LOOGU Fast BJ Helmet avoids any kind of physical fatigue that users might experience using heavier gear. The helmet is designed to secure your head while also being easy to carry and wear during workouts or while doing any other sort of outdoor activities. 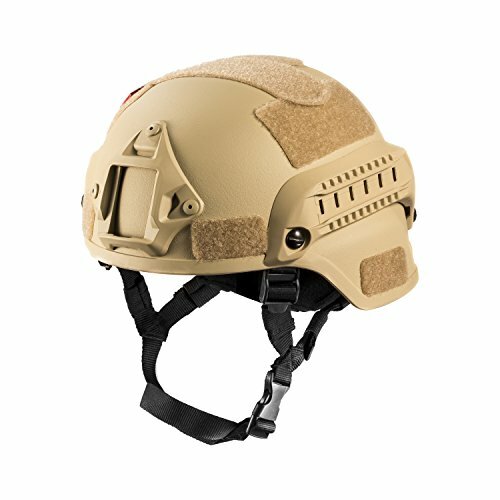 This tactical helmet is great for a workout, performing high demanding tasks such as search and rescue, having a great time climbing with your friends, and other outdoor activities. Safe to say, this helmet is a perfect buy if you’re someone with interest in airsoft/paintball. This military helmet can be easily adjusted through its dial device. Manipulating it until it reaches the perfect circumference best fits the user’s head. Also, the leather front, nape, and side pads are quickly detached for every user to have a great experience and a highly customizable option. The LOOGU Fast BJ Base Jump Military Helmet is among the top tactical gear equipments that excels at what they are designed to do. Once you get the product, you’re free to do pretty much whatever you want with it and turn it into whatever you want it to be. Many people believe the most deadly threat their heads are going to be exposed to is a bullet, but that’s not always the case. Even the smallest blows during the most common activities or rudimentary tasks could cause concussions or brain damage. The best tactical helmets are specifically designed to prevent this. The accessories are another key factor in tactical helmets. Carrying items like a flashlight or a camera could be very handy when entering sketchy areas. It also provides camouflaging, undoubtedly a highly requested feature that will be a decisive factor between your task’s success or failure. Analyzing the environment you’re going to be deployed at will give you great insight as to what type of helmet design you should pick. And now that we are talking about environments, it is worth noting the ventilation holes in the helmets. We lose a considerable amount of heat through the heads depending on; what type of activities we are doing, the clothing we are wearing, the environment, and the individual’s heat bodily functions. Using a tactical helmet without ventilation might cause the user heat issues. Of course that’s not always the case, but it depends on what the buyer likes. Overall, the benefits of purchasing what you consider the best tactical helmet for your requirements can easily overthrow its disadvantages and pay its value with service. With its right use and implementation, all these benefits from the tactical helmet will make it one of your greatest allies. Just like any other equipment gear, picking the best tactical helmet is an important prep step. Your safety always comes first and knowing the helmet’s limitations will be the decisive difference between a clean operation or getting yourself injured. Most modern helmets are made with light materials like fiber and carbon to support the user’s movements and performance while keeping the user safe. Currently, there are plenty of tactical helmets to pick from, and all of them offer to protect you from accidents or injuries in risky situations. However, before you buy one, you should know there are mainly two terms that define what the tactical helmets are all about: ballistic and bump helmets. Ballistic helmet’s design and materials can withstand hits from a pistol caliber. This type of tactical helmet has many features that are commonly used on the battlefield to protect the combatant from armed attackers. Bump helmets will resist and lower the impact of falling objects, debris, and other things that may harm you. It is important to know that bump helmets will not resist gunfire from any sort of weaponry or caliber. 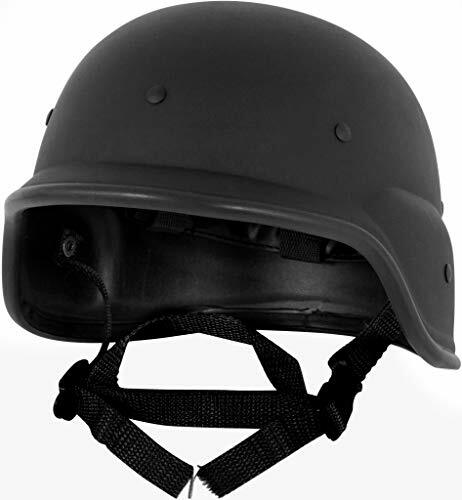 These types of tactical helmets provide the user with many unique characteristics such as comfort and lightweight. However, bump helmets have an excellent performance in natural disasters because it allows the user to move through the chaos protecting the head from any falling object. Tactical helmets are going to be responsible for your safety and should not be taken lightly. Therefore, it is very important you make sure the company behind the helmet’s production meets the criteria to produce the items. The helmets should be tested numerous times by the producers to check its integrity. Of course, you wouldn’t be able to know this, but checking out previous references and reviews will give you a great insight into the product’s functionality. There are many standards the company is forced to follow before placing their offers in the market. Another thing to keep in mind is that, while it is true that most of the tactical helmets cover up the same kind of physical activities, an item can be more capable than the other. It all depends on the type of work you’re doing and the materials the helmet was made with. The tactical helmet’s side rails are an important feature that offers the capacity to attach tools like a camera. If you’re doing an outdoor activity, consider tactical helmets capable of carrying your tools. The camera is always an important accessory that could save you from legal issues or record an interesting event you might witness. It’s recommended to do proper research and learn about the characteristics of every helmet before buying. Only then you will have a better understanding of what type of helmet you most need. A tactical helmet is one of the best investments you can make. It will provide you with the safety you need, and as listed above, most of them feature many characteristics to make the best out of whatever task you are taking part of. They come in a variety of shape, form, and sizes to best suit the user and include many tools at its disposal to improve the success rate of the task at hands. So, from our best tactical helmet reviews, pick the one that’s fit for you, and let’s get to work!